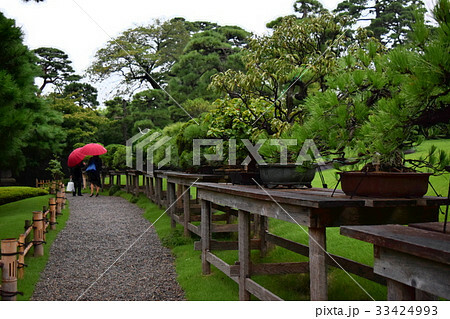 In a Japanese garden, you happen to see small trees planted in pots or on trays and placed on a shelf. These trees must know a lot of history of this place because some of them have been living for more than 500 years. One has a sign that says the tree is '820 years old'. A 盆栽 (bonsai) is a short tree that has winding branches and its soil and roots are covered in moss. It is one of Japanese arts which shows nature including cosmos, and the audience enjoy waching it because of its beauty or complexity, and the people are in touch with the nature through their lives. 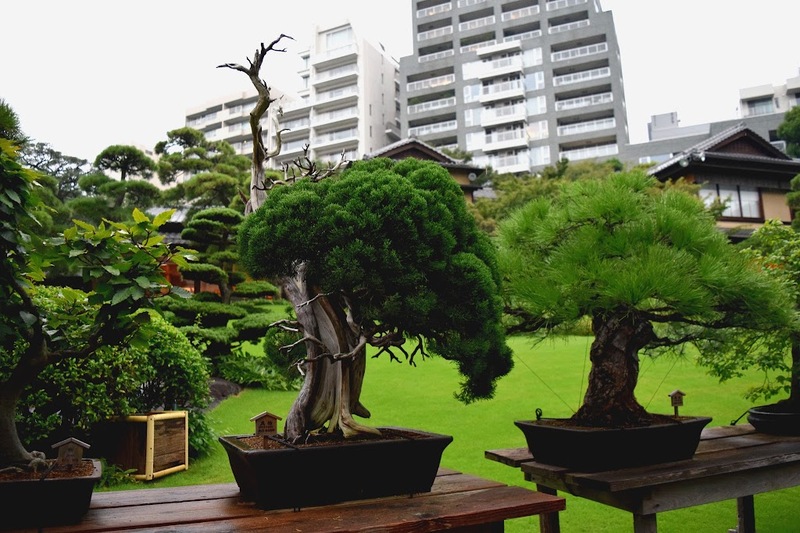 A bonsai requires various techniques to make: trimming, coiling wires and the like in order to shape it according to one's tastes. The art includes which to plant in/on or where to put on, and the appearance including surrounded by is important as well as its shape. It takes decades to shape this small tree and it never be 'completed' since it continues to grow. After all, it is alive.